In medieval times, the horse is the most famous work animal in the lands. Horses define labor and as well as nobility as royalties always travel in fashion on a decorated one. To celebrate the contribution of horses to the development of human civilization, tattoo artists offer a lot of designs for all of us. 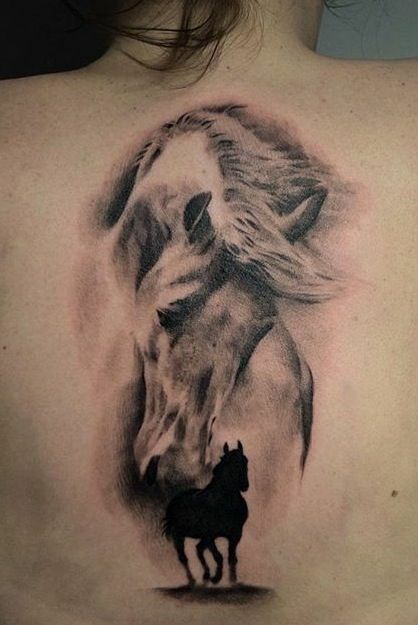 The horse physique is already a well-etched information to almost all human minds that is why the realistic way of tattooing horses is the most favored. There are also other techniques normally applied into horse inks like abstract and sketch-type that also work very well with it. Gallop your way to these 30 Majestic Horse Tattoo collection. As majestic as the animal itself, the showcased tattoo samples will surely captivate your wild hearts.